The smile is a big part of the physical appearance because it highlights the features of the face. Everyone wants a pretty smile, but for some people, it may not be easy to achieve. Misaligned teeth can make it difficult to smile. Such a problem goes beyond the physical; it affects self-esteem as well. Imagine not being able to laugh at a friend’s jokes in public because the gaps in your teeth are too big. Orthodontists provide various options to correct crooked teeth. The use of Invisalign™ is one of the many treatments available. You may have heard of the product but are not sure how it helps with teeth straightening. 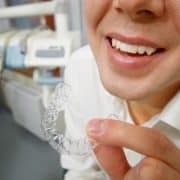 Understanding the functioning of these invisible aligners can help you gauge their usefulness in treating your condition. Maybe it’s the first time, or you intend to switch treatments; whatever the situation, the information helps your decision making. The braces are virtually invisible and are designed to custom-fit an individual’s teeth. Therefore, the process begins with the orthodontist doing an assessment to see how misaligned the teeth are. These are aligner’s trays, so they have to fit properly into your mouth. 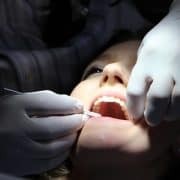 X-rays and other imaging techniques will allow a doctor to take impressions of your teeth. The aligners are then designed with these details in consideration. These clear braces work by shifting the teeth individually until they get back into their normal positions. The movement is subtle and can be horizontal, vertical, or rotational, depending on the intended results. Their build allows these aligners to apply just the necessary torque to move the teeth. Your orthodontist will change out invisible braces after a given period, usually a week or two and fit in a tray that corresponds to the current alignment of the teeth. Note that these trays are constructed to move the teeth at a specific speed while factoring in the level of bone remodeling required and other factors. Therefore, the more the teeth need to move, the higher the number of trays a patient needs. The new aligners continue pushing the teeth until they finally get into position. 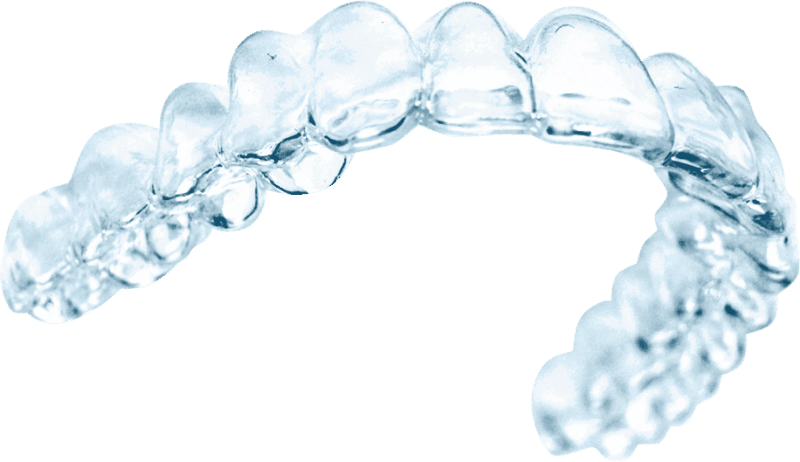 Because they are clear plastic, a patient can wear the aligners throughout the day. Doctors recommend 20-22 hours per day, depending on the severity of the teeth misalignment. You can go about the day comfortably without worrying about people seeing you in braces and only remove them when eating or brushing teeth. Working with the right orthodontist is the secret to getting your teeth straightening right the first time. Even though two people may have the same problem, say an overbite, certain aspects are still distinct to an individual. For example, the size of the overbite may differ even by a micro millimeter. Or the size of the teeth may vary. Such elements are what doctors look for during the evaluation process. Even with superior quality clear aligners, if the fit isn’t accurate, the results will come up short as well. For one, an orthodontist can tell you if this treatment is suitable for your condition. He/she will also consider all other aspects of oral health before making the final decision. Always look for orthodontic services from professionals with experience in this kind of treatment. Besides knowing how the aligners function, learn about the different conditions where it is most effective. An overbite is one problem that invisible braces can fix. Here, the upper teeth bite over the lower teeth usually because the bone that offers teeth support is overdeveloped. Poor dental habits and genetics are other causes of overbite. The condition can result in increased wear on the lower teeth, pain in the jaw, and gum complications, among other issues. Underbite is the opposite of this condition, meaning the lower teeth stretch past the upper ones. An individual with missing upper teeth or a case of overgrowth of the lower jaw may have an underbite. Besides jaw and joint issues, an underbite can make it difficult for the molars to function properly. An open bite is another problem that an orthodontist can treat with invisible aligners. It occurs when some teeth don’t touch their opposite ones, which makes it hard to bite. An open bite can result in some level of speech impairment, painful chewing, and joint problems. Too much sucking of the thumb when young and poor jaw structure due to genetics are some reasons for an open bite. Doctors also recommend invisible braces when dealing with instances of overly crowded teeth. When the jaw has to accommodate too many teeth in a small space, it is hard for them to stay in their normal positions. Overcrowding heightens the risk factor for periodontal disease and plaque accumulation. Improper spacing of teeth is another dental problem that doctors can fix with invisible aligners. When you walk into an orthodontist’s office with a problem of crooked teeth, you want to hear the best possible solutions. You may wonder, why Invisalign? Your doctor may recommend the invisible braces because of the comfort they provide. For an active individual, it is crucial to have braces that don’t interfere with your rhythm. Whether it’s practicing for the next college game or putting together a presentation, you can continue without any problem. Orthodontists consider all the aspects of your life when recommending treatment. Invisible aligners are suitable for someone who is self-conscious. With these products, you can get treatment without people even realizing it. You just show up to work one day with perfectly aligned teeth, and everyone wonders what happened. 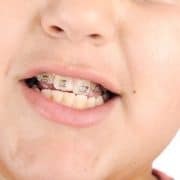 As with any other orthodontic treatment, wearing braces to correct crooked teeth minimizes the risk of oral health problems. Whether it’s overcrowding, an overbite, or gapped teeth, a doctor will advise prompt treatment to avoid issues such as bleeding, gum disease, and painful joints. The removability of the aligners is another reason your doctor may recommend them. Patients can easily take out the tray when at home and brush their teeth. They make it less challenging to manage dental health during the treatment, which is fundamental. One thing a doctor will say is that commitment is everything when treating teeth misalignment. The remedy depends on the continued movement of teeth over time. After the doctor prescribes the aligner trays, it up to you to commit to wearing them. If the orthodontist says that you should have them for 21 hours, then it should be 21 hours. Visits to a doctor are a must in the course of the procedure because he or she has to track the progress of the alignment. The length it takes for teeth to return to their normal positions depends on many variables. The extent of the misalignment, for one, matters. Orthodontists work with patients on a treatment plan and show them how long it would take. Many individuals with crooked teeth or other forms of misalignment may not experience a full life. The lack of straight teeth may make it hard to face people confidently or even socialize. Such limitations can have a very bad impact on someone’s life. Orthodontists understand the importance of straight teeth in an individual’s self-worth. For this reason, they offer different treatment options like clear aligners, which assist in straightening out the teeth. Find a qualified and experienced orthodontist to help you gain that smile back by developing a customized treatment with clear braces.